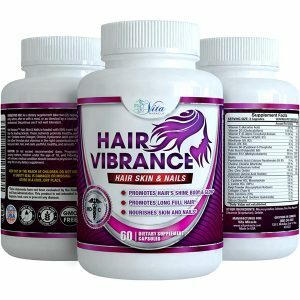 Vita Miracle Hair Vibrance Biotin Hair skin and nails formula utilizes 23 ingredients for vibrant full shiny hair and a more youthful looking you.Hair vitamins for faster hair growth are critical for healthy hair, skin, and nails. 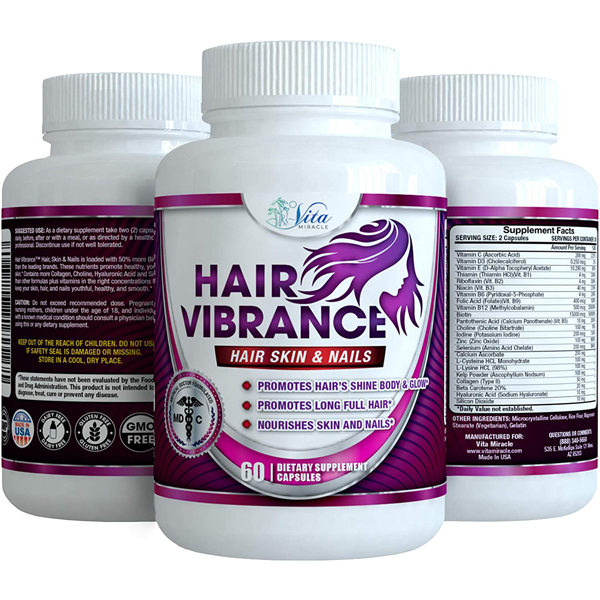 B vitamins like B1, B2, B3, B6, B9, B12, B5 and H are essential for increased hair growth for women and men. 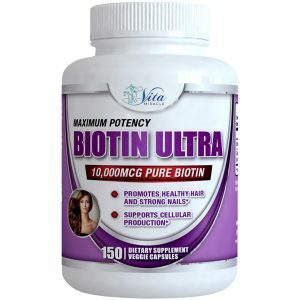 Biotin one of the B-complex vitamins necessary for healthy thick full hair growth for men and women. 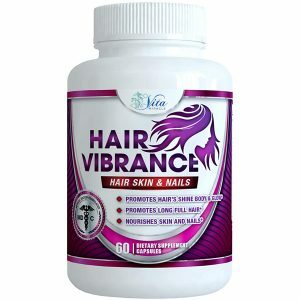 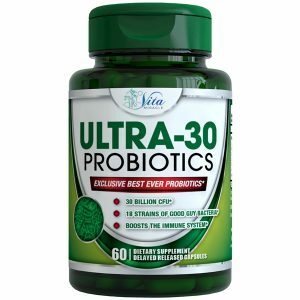 This ultra high dose Biotin uses 2 to 3 times more biotin for hair growth than typical formulas, and is combined with 23 important ingredients to give you a healthy youthful appearance. 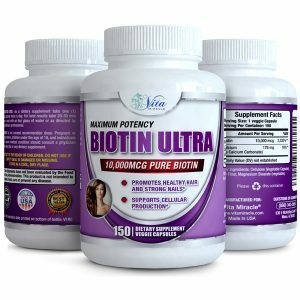 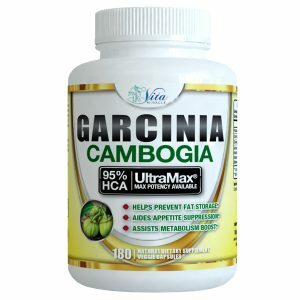 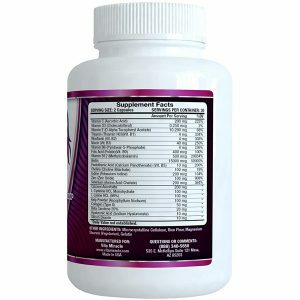 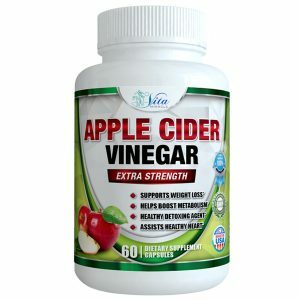 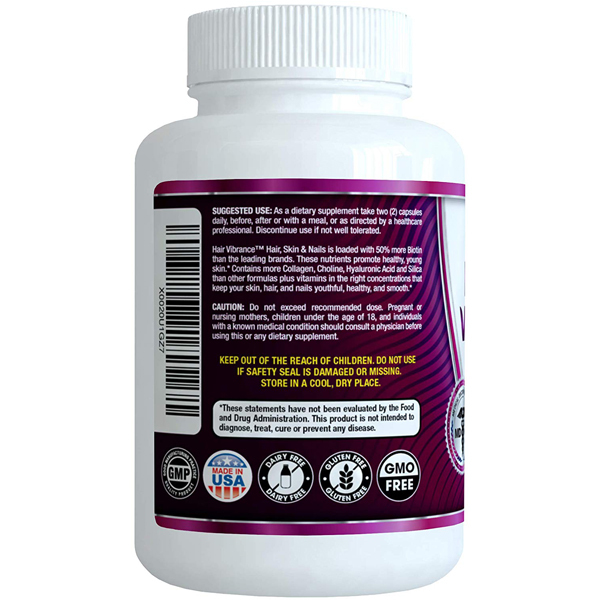 You will typically find Biotin 10000mcg or biotin 5000mcg in leading brands.